Pink Shoes: Celebrating the brave moments. Last Christmas Georgia got a pair of ice-skates from Tarah and Sharon. We wanted to try them out but the winter just wasn't much of a winter and when it would work for us to skate there wasn't really enough ice. I also knew taking her to a rink where there were lots of kids and other people zooming around would be a recipe for failure. She'd get overwhelmed, intimidated, and just shut down. So the ice-skating never happened. This winter however, is a different story. As you're aware we're polar vortexing so there is no lack of ice. 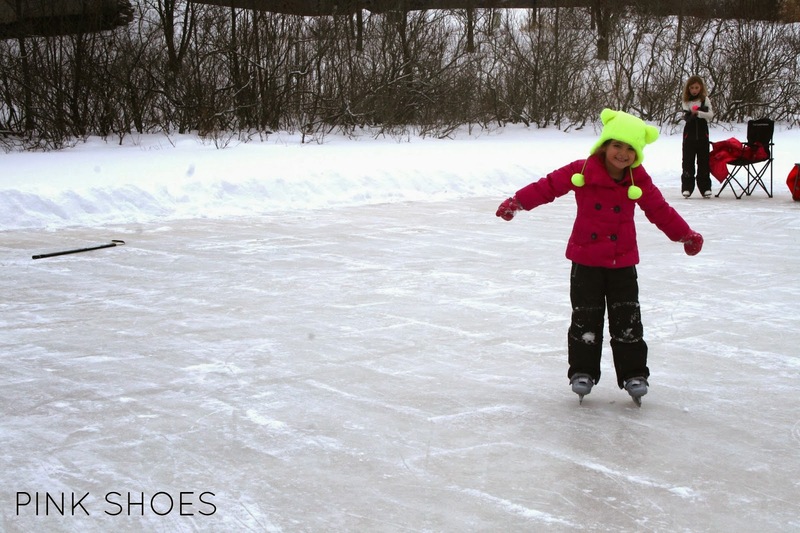 Some friends of ours have a little pond at the front of their neighborhood that has frozen into a perfect little rink. 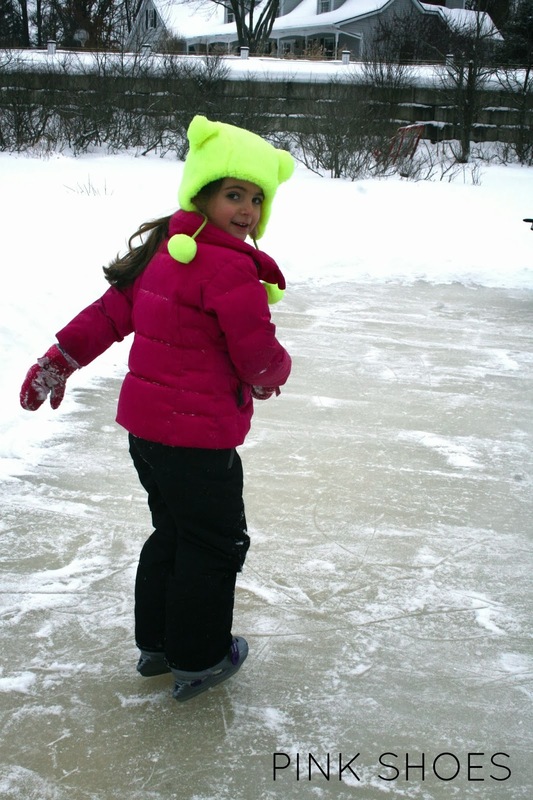 Last Saturday morning we put G's skates on and headed over. She watched my friends two little girls skate for a bit while she sipped on hot chocolate contemplating. Georgia is pretty timid about new things that she thinks she can't master immediately. She'd usually rather not do them than try and fail. Eventually though she decided that she wanted to try. And try on her own. 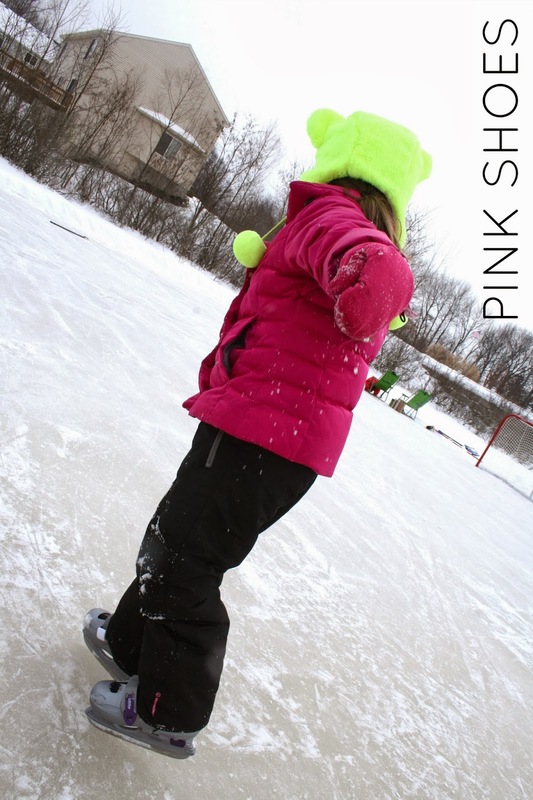 She got up, shuffled around a bit, let herself fall into the snow around the perimeter of the rink, and got braver and braver. She was adamant that she didn't really want to hold our hands. She was good. And she was good. It's the first time in a while that I can remember her being so confident and fearless about something new. When I really think about it though I don't know that she was actually fearless….she just didn't let it control her actions. She rose above it; something that makes me realize how old she's getting. Old enough to give herself some healthy self-talk and overcome something. I told her how proud of her I was. Not for skating as much as for trying, and not worrying about being perfect. Proud of her for being brave. 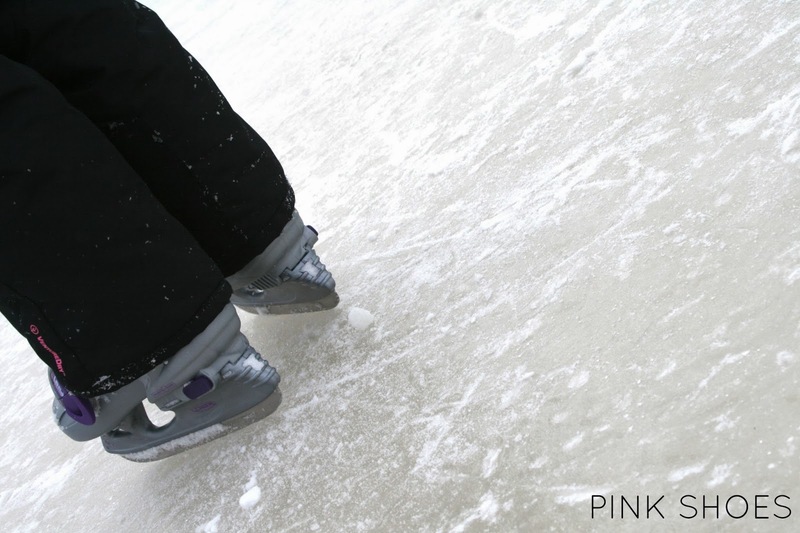 It's a little thing, for me, to give ice-skating a try. But for Georgia it was a big deal. And all of our kids have them. Celebrate those brave moments--even when to us--they just seem like an everyday occurrence. georgia and i have a lot in common. i'd rather not try than try and fail. what a sweet brave girl!